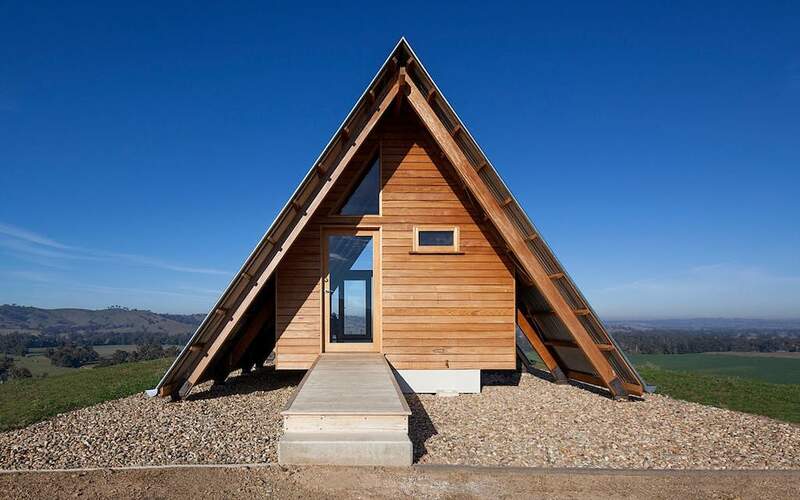 A-frame cabins, like T-shirts, are so universal in form that their name literally defines itself: the moniker refers to any home built around a frame shaped like — you guessed it — the letter A. Given the simplicity, most don’t warrant special attention. But occasionally, you come across one with that certain je ne sais quoi and you don’t know how you lived before it. 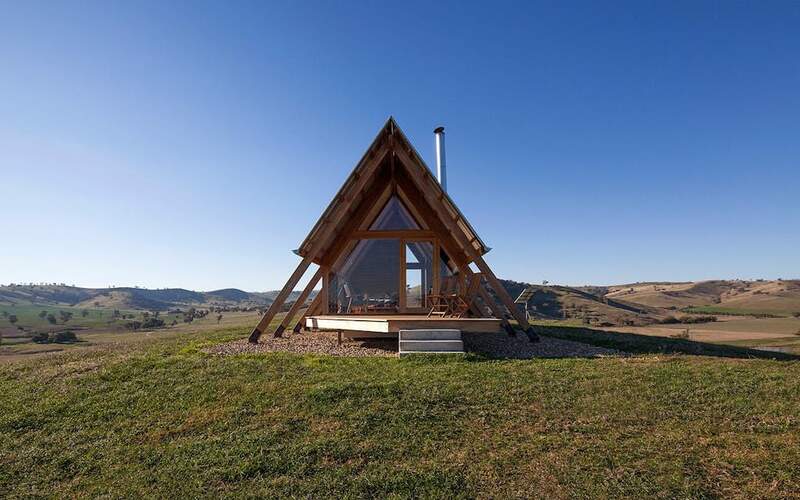 JR’s Eco Hut, an off-grid A-frame in New South Wales, Australia, is one such abode. 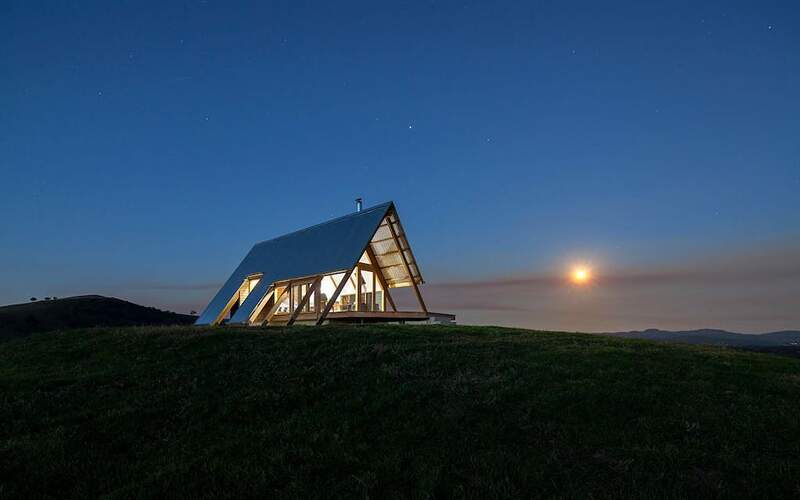 Built for two, the “luxury glamping style” accommodations sit on the Kimo Estate, a 6,000-acre “farm that has been reinvented to host weddings and events, or folks who simply want to unplug and unwind,” writes New Atlas. 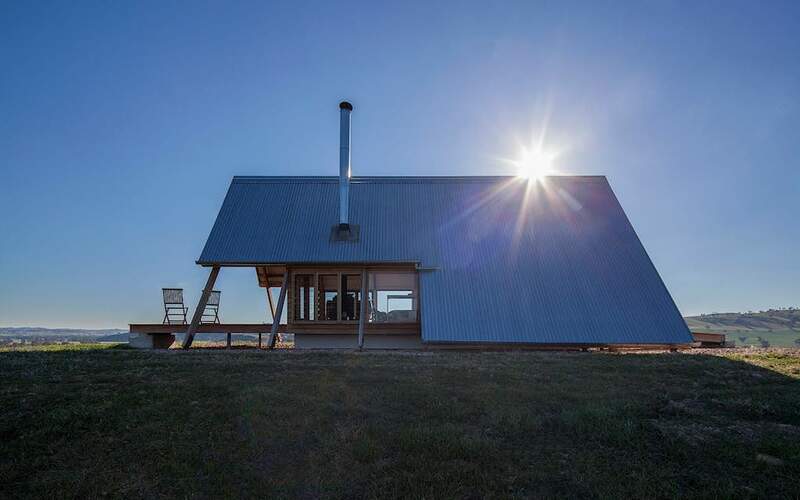 That won’t be difficult, since the architects Anthony Hunt and Luke Stanley designed it with the purpose of connecting both the inhabitants and the hut to the surrounding landscape. 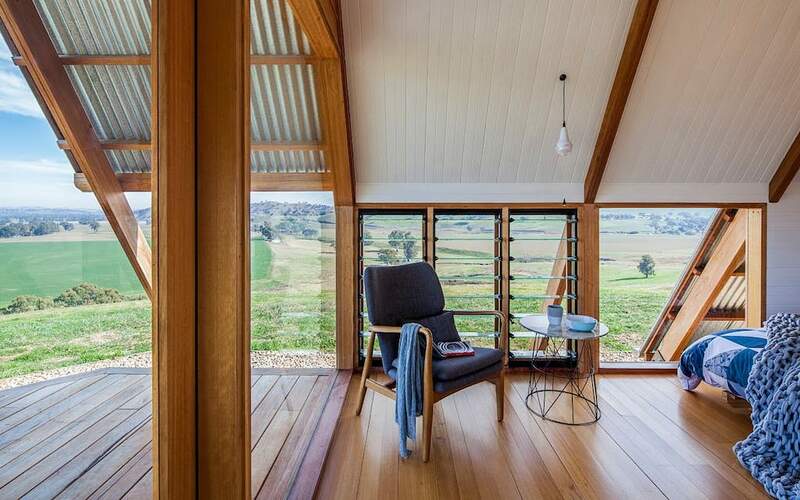 Sustainable and locally sourced Australian hardwoods make up most of the structure, with the exposed rafters and corrugated iron roof recalling the property’s agricultural heritage. And the bucolic views, ideal from the hilltop the glazed hut is set on, are the main source of entertainment, as there’s no wifi or TV (though there is solar power for the lights and hot water). 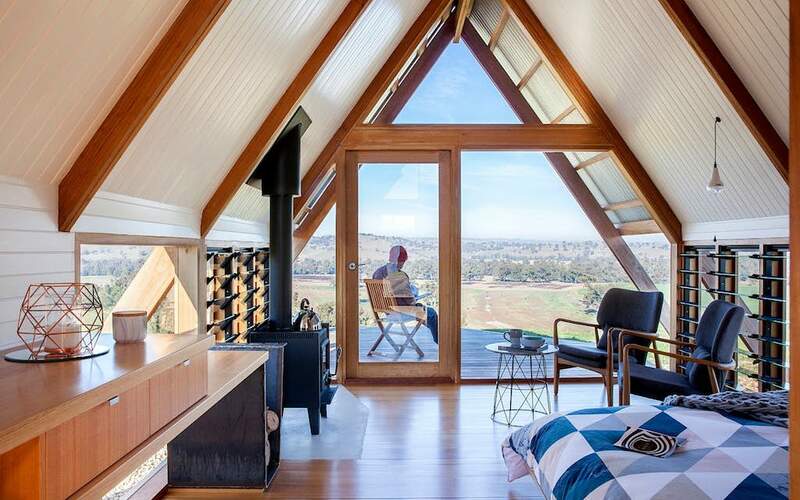 That’s not to say this pad isn’t charming as all get out. 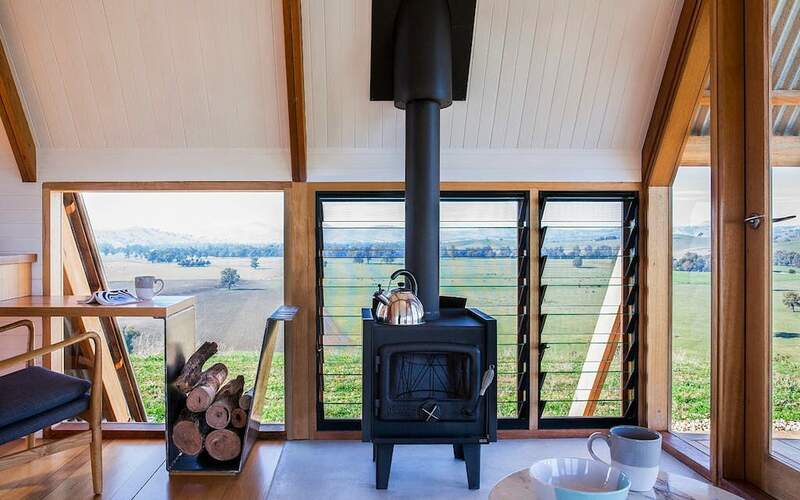 There’s a wood-burning fireplace, contemporary furnishings and even breakfast served on the premises every morning. 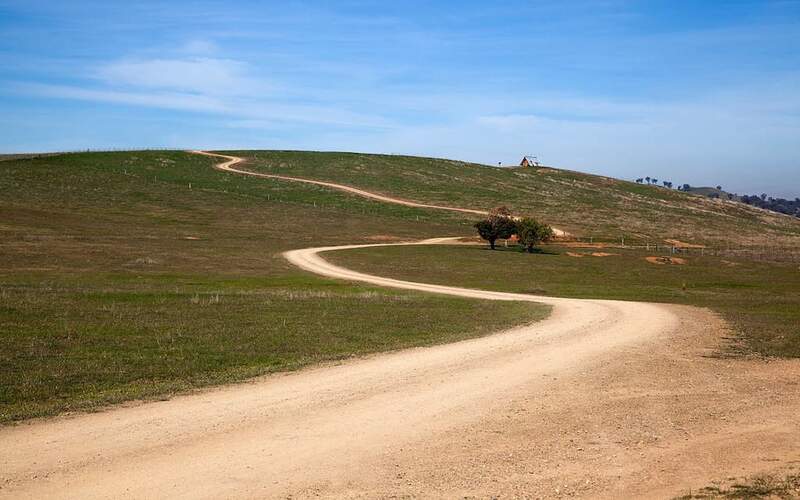 If you find yourself in the bush in the town of Gundagai, almost smack dab between Sydney and Melbourne, be sure and book JR’s for as little as $265 per night.